Viewing Amazon order details in Unify Desktop? View Amazon Order Details - You can double click on an Amazon order in the dashboard to view order details. These will be displayed as below. 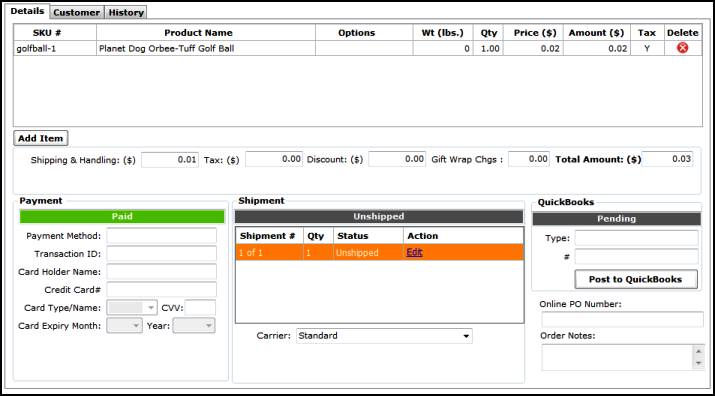 The Customer tab will contain the customer details and the shipping details, and the History tab can be used to view a history of anything done to the order including errors, if any. The expenses and fees tab will contain expenses and fees posted for the order. 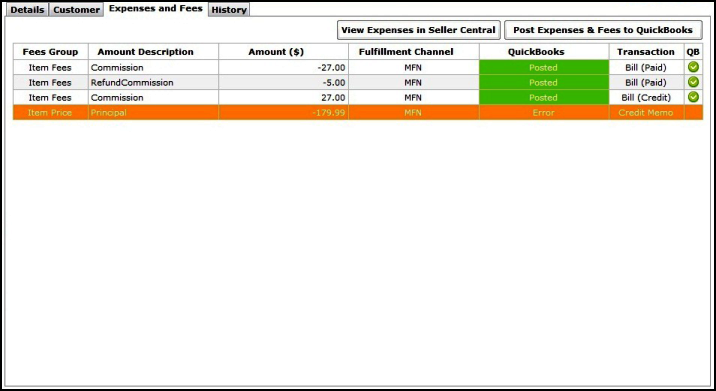 You can also use the applicable buttons to view the expenses in seller central or to post Expenses & Fees to Quickbooks.